Niseko Snow Report, 14 December 2017. 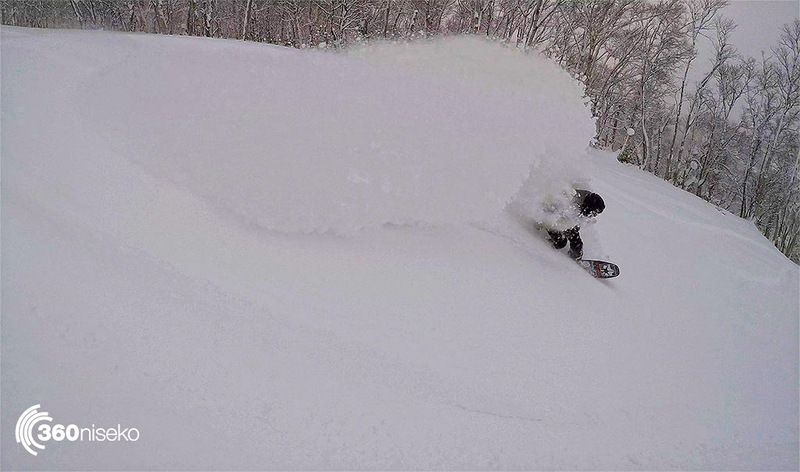 Powder fever pandemic declared in Niseko! 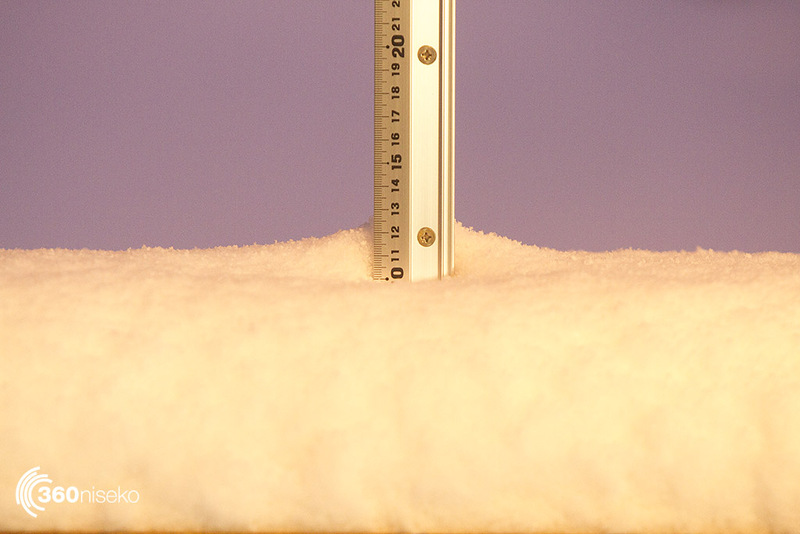 * 10cm has fallen in the last 24 hours in Niseko. At 6:10 am today the temperature was -1.1 °C. Ok so the powder fever has subsided after yesterdays awesome conditions right? A bit of context this morning, Niseko’s snow pack had been decreasing every year for the past 5 years and last year was considered about the worst year in 40 years and the 4 years previous were well down on average so the snow we are getting is really just a return to normal programing, even though it feels like an ice age. So get a new snow shovel, go buy those bib pants, get an extra pair of goggles, clip the powder skirt together, book the tour you always wanted to do, hire some fat ski’s, stay out late get up early and soak it up cause the season is in full swing and it’s a good one. 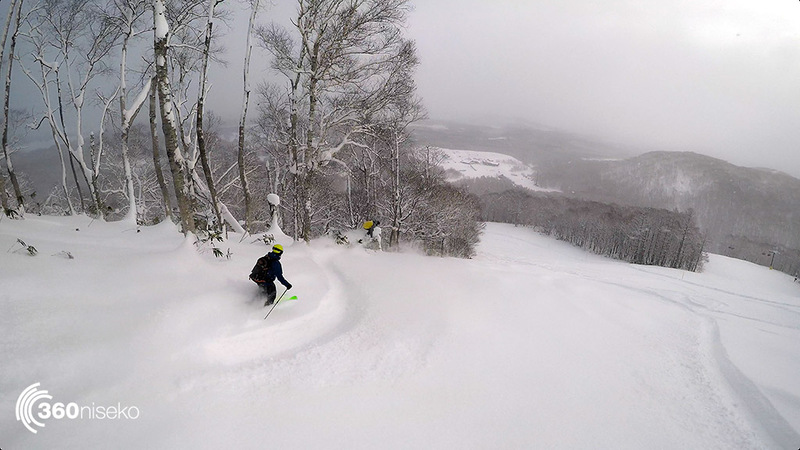 There is a LOT more snow on the forecast the resorts are all spinning the right lifts, all the staff have had a couple of weeks of A+ riding and it’s good vibes only in Niseko right now. 360 hot Tip 1. Keep an eye on the live feed for the sneaky arvo dump and an epic nighta as the crowds arrive. Don’t forget 360 is holding a film premiere of the new Teton Gravity Research film Rogue Elements at the Niseko Chomin Centre this Saturday (16th) tickets are available from Rhythm and Rhythm Summit we’d love to see you there. 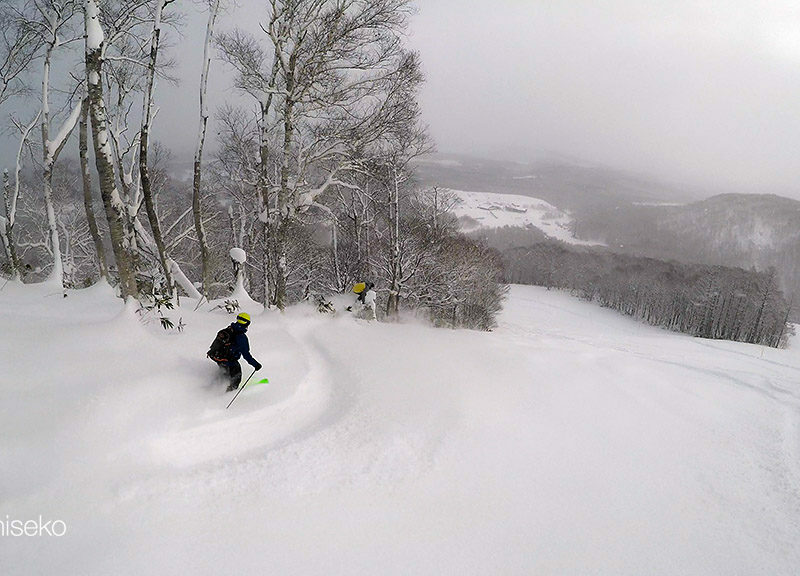 Niseko Snowfall, 14 December 2017. Screen grab of Evan Wilcox getting on the HPG first tracks program yesterday. Evan Wilcox and Joe Sugano testing the HPG first tracks zone yesterday.